Yesterday our Director, Martin Gill gave a talk on the state of the security sector in which he pointed to both positive trends, not least the growing perception that contract security providers can deliver, and less positive ones, the relatively low status of security functions within business. 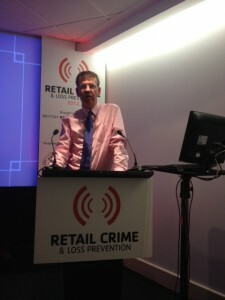 He felt that the Police Crime Commissioners may provide an opportunity to increase action against retail crime, but may also present a threat in that the array of retail/business crime initiatives and schemes (sometimes of high quality and sometimes not) sometimes act in conflict, which may encourage them to feel that business need to get their act together. He was sceptical that retailers had really understood some of the implications for policing in more demanding partnerships going forward, and the same for retailers. He called for more realism and encouraged the retail sector to develop a strategy for the coming years.